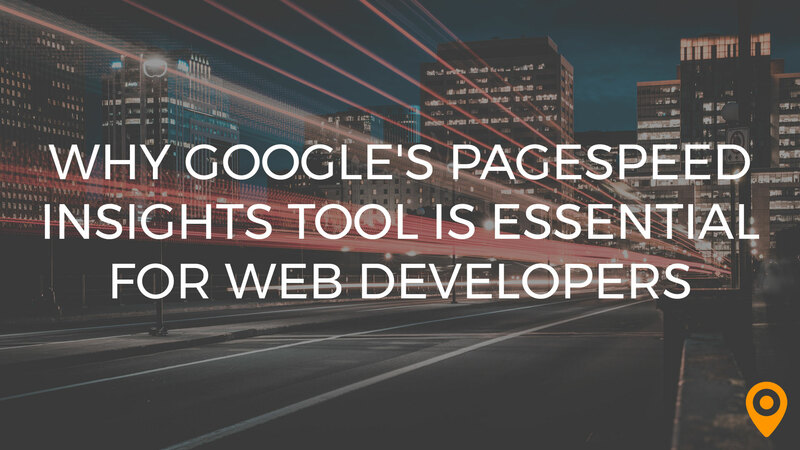 Our friends at Regex SEO explain why Google's PageSpeed Insights tool is essential for web developers today, exclusively on the UpCity blog! These guys are really great at branding and web design. They were extremely impressive and are masters at their craft. You can check out our website they did at elkroofingsolutions.com - highly recommend this team. No complaints from me. You can tell they’ve done this hundreds of times and know exactly where to save time and know where to spend more time. They took my vision for my new business and made it a reality. They have a strong current of creativity and professionalism and all we had to do was jump in it and we were moving in the right direction. Great all encompassing campaigns, they thing of everything. Regex team is amazing. Everything was great. Nothing to complain about on my end. SEO, PPC, email marketing, social media marketing, all was great. ROI is high and sales are coming in. What else would I wish for? Amazing web development and seo! Recommend to everyone! Everything was fine, can’t complain about anything. Smooth process, no problems whatsoever. Great delivery on the product, great support. They did fantastic work for our website. Everything is mobile responsive and it looks great. Easy to navigate and customer friendly. I had no problems with this company. I would highly recommend them to others. Working with them was great. It was overall a great experience. RegexSEO was very responsive and helped accomplish the vision I was looking for. They were easy to communicate with throughout the whole process. I really liked the all the graphic design work they did for our non profit. Everything was great. They were very punctual with deadlines and extremely helpful. I referred my friend to these guys that remodels houses and he told me that they are extremely sharp! Can’t say anything bad about these guys, my friend was very happy. It feels good to be able to have someone in the digital marketing space that I can refer my friends and family to. There’s a lot of iffy seo companies out there and regex seo is as transparent as they come. This is an extremely talented team. I couldn't be happier with my branding for my non profit. They took that time to understand our purpose and our target donor audience and delivered a fantastic look. These guys are extrenely detail oriented and the process took a lot longer than I would expect, but it was well worth the wait. You can't rush a brand that you want to exist for many years. They have a great office in the galleria and are extremely knowledgeable about what they do. They explain internet marketing better than any company I've worked with in the past. Highly recommend! The overall experience was great. They really make you feel like your ideas mattter and you can tell that they are important based on the final products that they produce. N/A because there was nothing to dislike about the experience or the company. They produce great work and really care about their customers. Overall experience was great. Servando Sanchez is very creative. He uses customers ideas while incorporating his own creativity to create beautiful work. Highly recommended. I am so happy with my website design. Servando Sanchez really captured my vision on my website design and we stayed with in my budget. I have no complaints. I definitely recommend RegexSEO to all my small business friends. I have to say at first I felt so overwhelmed about the entire process with all the choices but Servando made me feel comfortable and confident about all my choices THANK YOU. Definitely happy with my investment!!! I felt like this was a true partnership, where they were as invested in my business’ success as much as I was. At first, I felt overwhelmed by the amount of options to consider, but i quickly realized that this is why Regex is worth the investment. Their consulting expertise allowed us to quickly choose a strategy and implement it with little effort. I am very glad I made the decision to partner with Regex, I wish I had made the decision sooner. They have allowed me to focus on my business and ensure that it will continue to grow at a steady pace. It is exciting to think of the possibilities for the future! We are very happy with the design of our website. The whole process from start to finish was great. Absolutely nothing. We made it clear we had to launch quickly and they made it happen. Servando is a very skillful designer. He listened to what we needed and blew us away with the design of our website. It was a million times better than we expected. Dmitrii and Josh are the reason we went with Regex Seo. No complaints from our company at all. I recommend them to anyone. Our spa, European Wax Center, wasn’t performing as well as the other locations, so we hired Regex SEO to help us with our marketing. They proposed that we do email marketing. We gave them a 3 month trial and we started to see an increase in appointments so we decided to stick with them. They have not let us down. They were true to their word. Communication is key to any project and they did not let us down. It took a little longer than anticipated, but very happy with the result. We hired Regex SEO to create an ecommerce store for our clothing company. From our first meeting we knew that these guys knew what they’re talking about. The whole team is very knowledgeable and guided us every step of the way. I recommend them to anyone who needs a website. Very good listener to what we need on our marketing side of the company. Not very much to say here to be honest. It's hard to good help and they rock! I would definitely recommend them. Extremely happy with their work and attention to detail. To true professional and real designers. From the moment I met with the marketing team it was apparent to me that they knew what they were talking about. I knew I was coming to real pros. So far the experience has been great. There's nothing to complain about yet. Every time I have a question they are quick to respond. My experience has been wonderful. I came to them for help with my baking business. I needed a new website and a marketing strategy to get me sales. They gave me different options for my budget and didn't force me into a cookie cutter package. I am very happy with the way website came out and I have seen an increase in calls. I definitely recommend Regex SEO to all my fellow small business owners. Their timeliness to our requests in regards to helping us fix our website. The experience we had was nothing but great - we liked everything they did! We brought these guys in after having a poor experience with our previous web designer, and they were amazing! When we asked anything of them, they got right on it. They were very responsive and on top of all of it. Will definitely recommend them to anyone needing assistance with their website. I've worked with a few different SEO companies and these guys are by far the most experienced and thorough. They are also very transparent in their pricing and what works vs what doesn't. The fact that my friend didn't recommend them sooner. Their process is much different than the other SEO companies, so it was a bit surprising. The results speak for themselves. We appreciate all the work Regex has been doing for our company. They designed and have been managing the website for our company and we could not be happier with the job they do. The site brought in a lot of new business and awareness about our company, products and services. The are SEO experts!! These guys are great, no complaints here. Their offices in the gallery were a little far for the drive, but they were able to meet me a closer location our following meeting. Just had to say that I have so much respect for Regex SEO and their services. We called them for information about a new business website and they answered all of our questions in great detail. After speaking and deciding what I wanted our business website to convey online, they started to work that day. We had no idea what we wanted in a website. What he came up with was beyond our expectations. Starting a business, we wanted everything to convey what we were about online, and Regex SEO did a perfect job. They also created all out Social Media pages and SEO framework for us. You can't ask for anything more. Thanks again! Consistency with great results. I have never been let down by the team at Regex. They have worked closely with me and my budget, delivered more than expected, and saw my vision clearly. Nothing. They have worked with me in every way. Regex is making my vision a reality. Outstanding. I feel as if I have guidance with all that this team has done for my brand and continue to do so. The staff was very responsive and very helpful in the creative process. I am always excited to work with very talented people and this group has that down. They offer a wide range of services so took a bit to figure out which ones I really needed and wanted. Very limited problems to be honest. I began this year starting my own company. A very scary step for me, however, with the RegexSEO team helping me I have great confidence that this new venture will be successful. The branding they developed with my step by step input is excellent. I couldn't be happier. I am an expert at what I do and i realize to be excellent I need a team of experts behind me helping me to achieve my goals. I truly feel and see them working to make me successful and i am very grateful. I loved working with Dmitrii, he is super helpful and knows how to effectively market! He taught me how to use wordpress, social media, and even my own website to be the best at getting organic growth, and man did it help. I've seen a ton of great growth because of his work. Will definitely be working with him more. Honestly, nothing. I think he did a fantastic job. We met over coffee, or in his office so location was never an issue. My experience has been great. I met Dmitrii at a networking event and he offered his services, and since using Regex SEO, my website and YouTube channel has seen growth that I did not imagine was possible. He knows how to market very well, and I'd recommend him even if you don't have a super high budget like I did. He'll help you out in some way and you won't be sorry! I will be returning my business to him and his team. Great service. These guys are very knowledgeable. There wasn't a question I asked that they didn't know. Nothing really. Sometimes I had problems understanding technical terms but when I asked, it was explained to me in a way I could understand. I would do business with them again and I highly recommend. Nothing really. Everything was smooth with no problems. The process took a little longer than I expected (4 weeks), I thought web design was a quick thing, but after seeing what they did, I'd have waited a year. I wish I could show you what our website used to look like compared to what it is now. Everyone we worked with was super nice and really knowledgable. I love that they come to our events and support us! Spoke with many other companies and these guys were real transparent and knowledgeable. They designed my website that everyone I’ve talked to and my customers are blown away by. They made the whole confusing process very manageable and fun. All around these guys did an amazing job, but if I had to do it all over again I’d be less focused on my own OCD tendencies and just trust in their process and experience. Impressive. Their designer is fantastic and I haven’t seen the results of the marketing just yet because I just started, but I’ve seen their analytics reports for some of their other clients and I’m looking forward to see what happens.